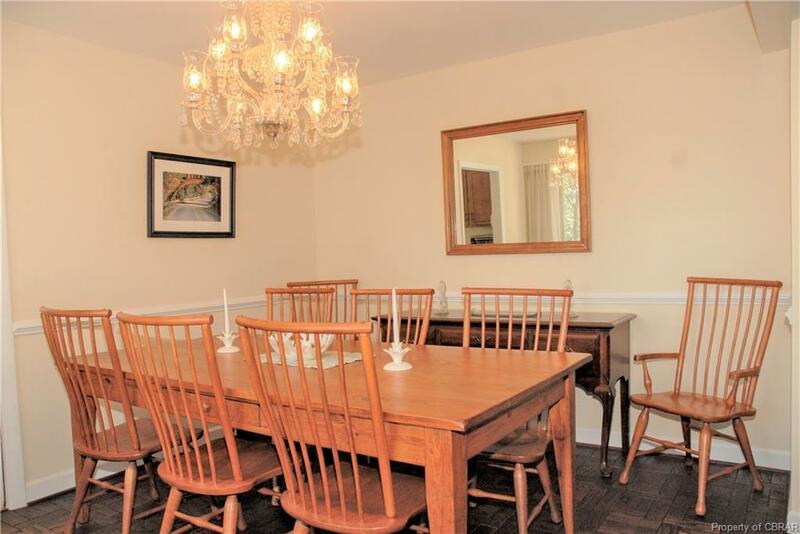 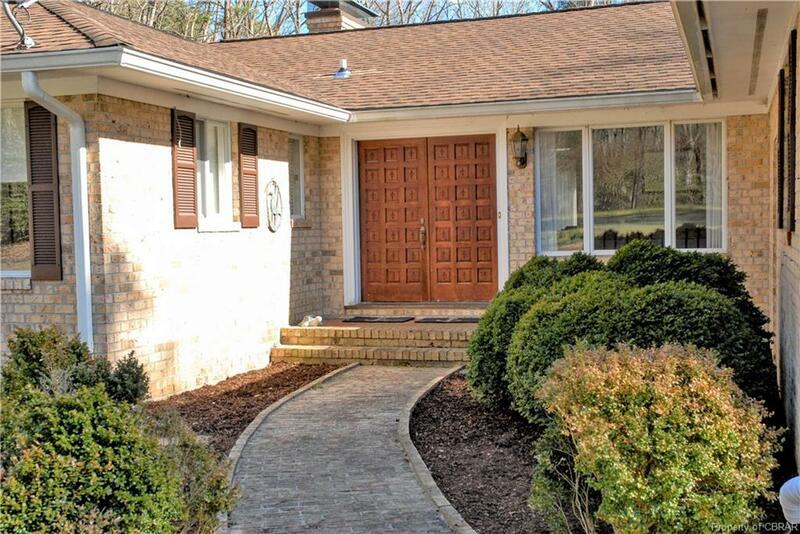 On quiet lane, the setting of this brick residence is very serene. 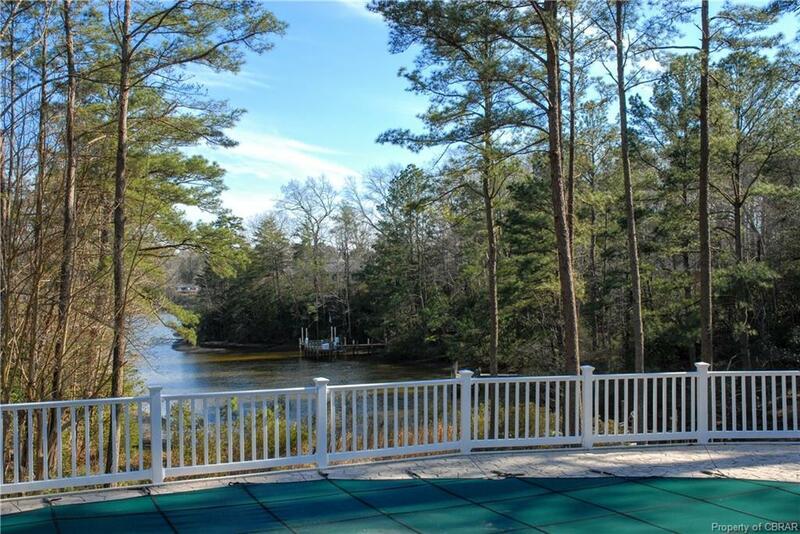 With a swimming pool overlooking the Corrotoman River, the coastal ambiance is readily apparent. 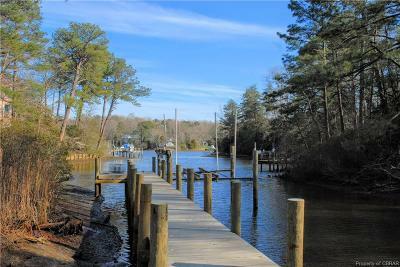 The dock with boat lift provides a sheltered harbor. 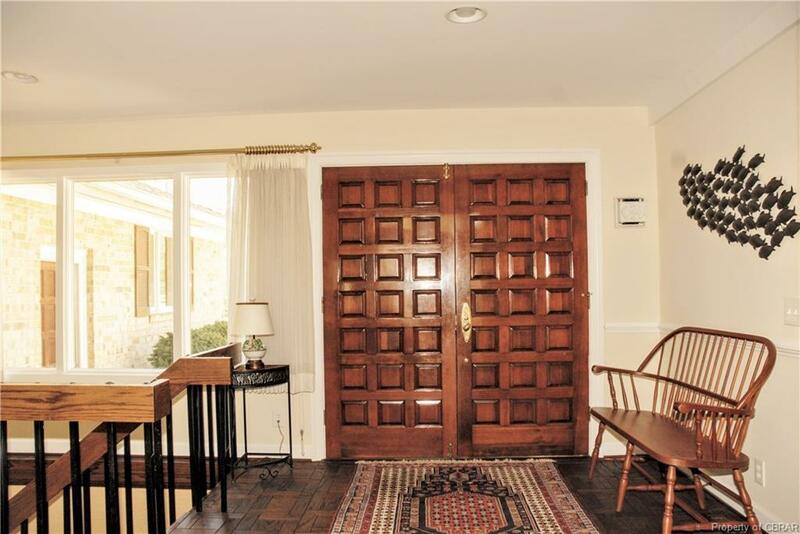 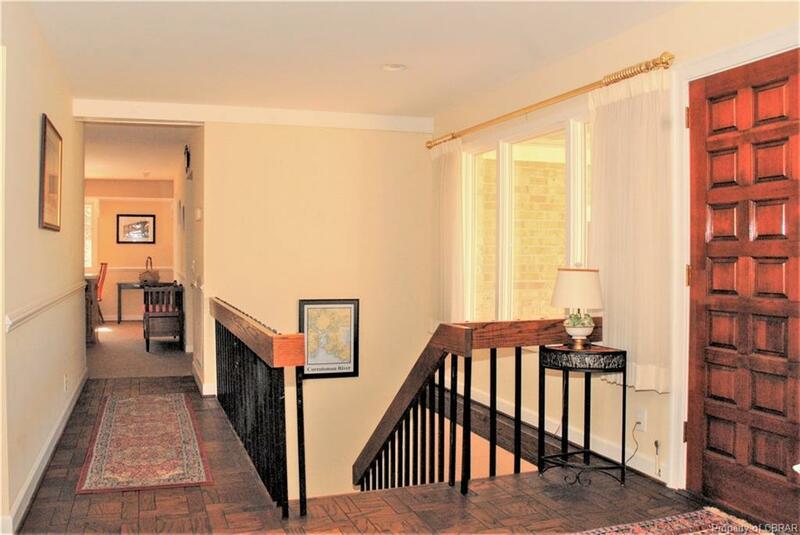 Enter this pristine house through handsome, paneled doors into a large foyer with a view of the river. The waterside living room with floor-to-ceiling windows, vaulted ceiling, exposed beams, and brick fireplace is a dramatic, stylish gathering room. 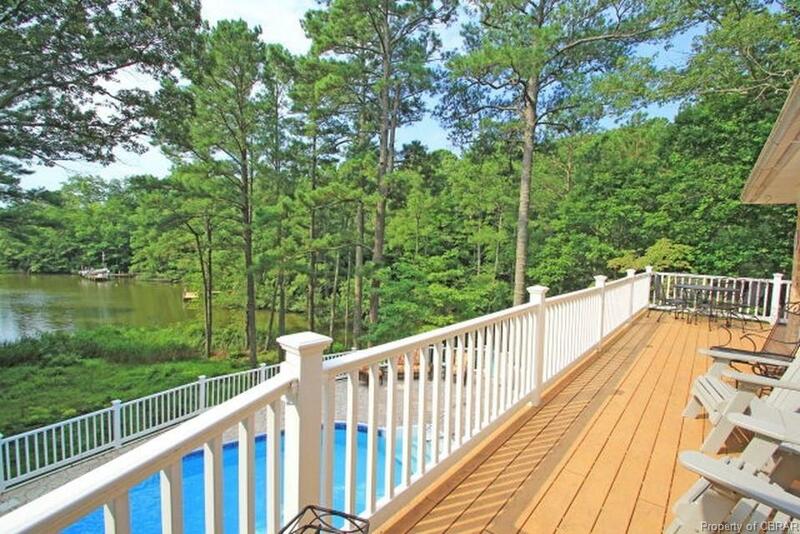 The space expands to the waterside deck. 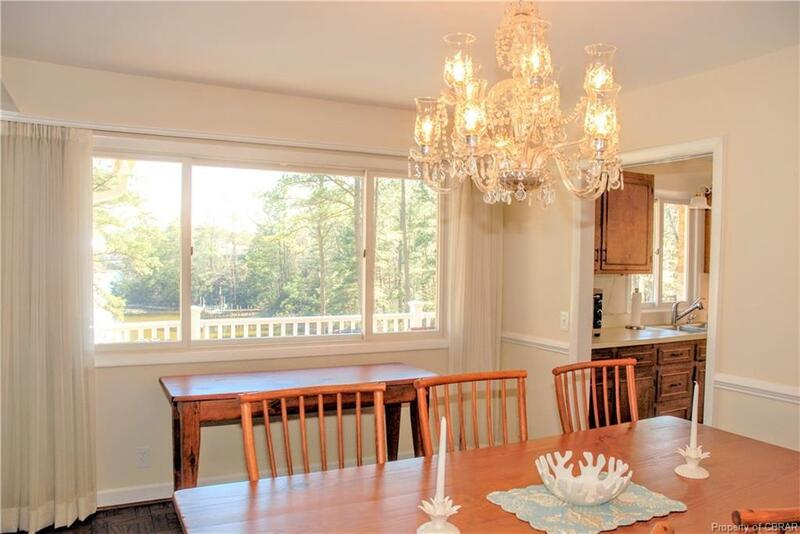 A long window brings the water view into the bright dining room. 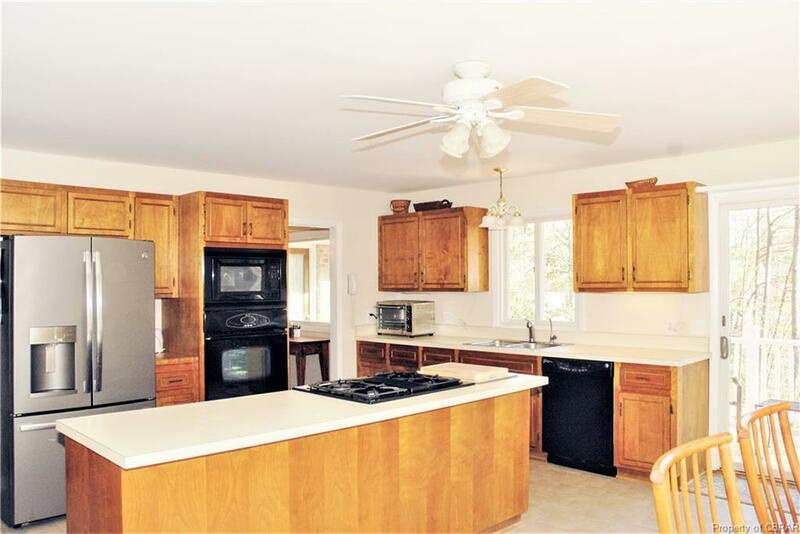 The kitchen, equipped with wood cabinetry and stainless-steel and black appliances, complements the warm, yet contemporary décor. 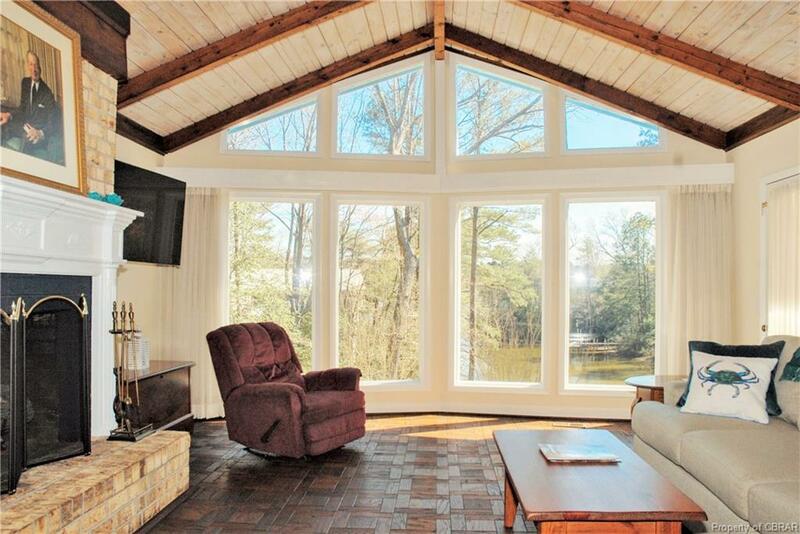 It opens to riverside dining on the deck. 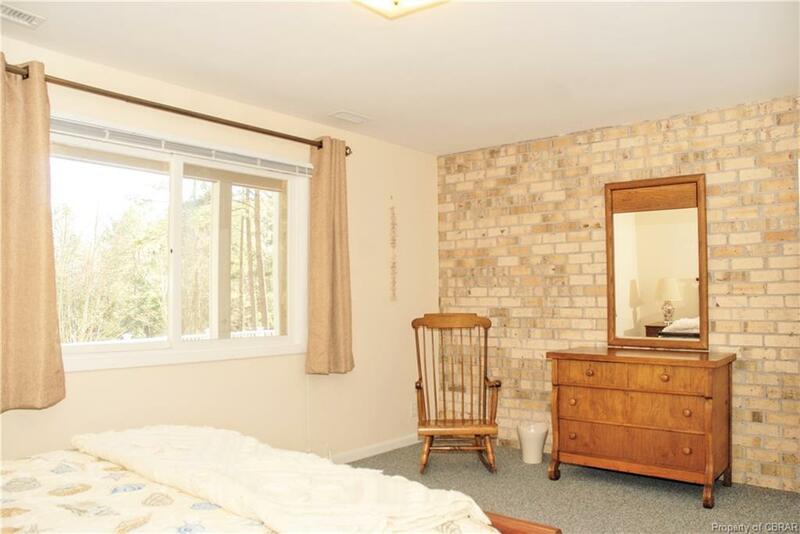 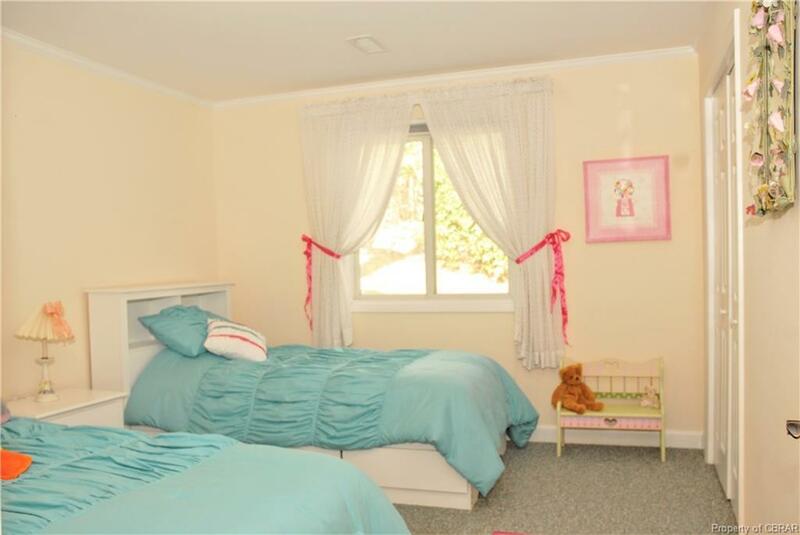 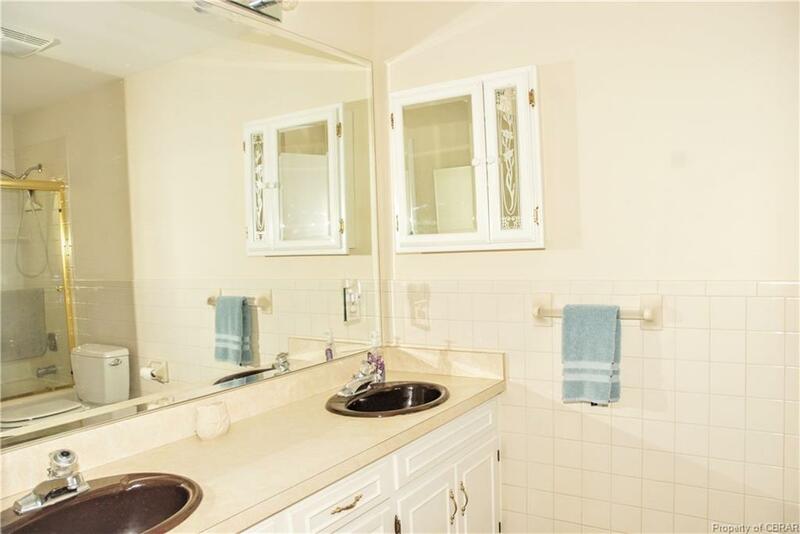 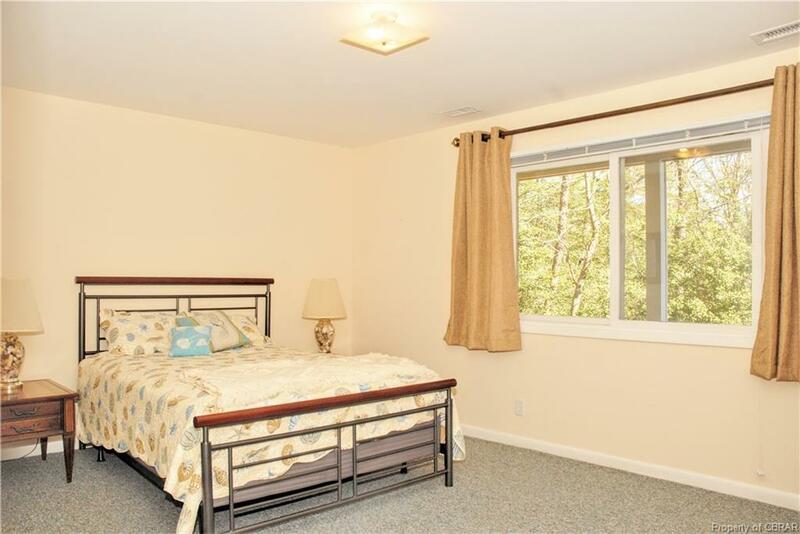 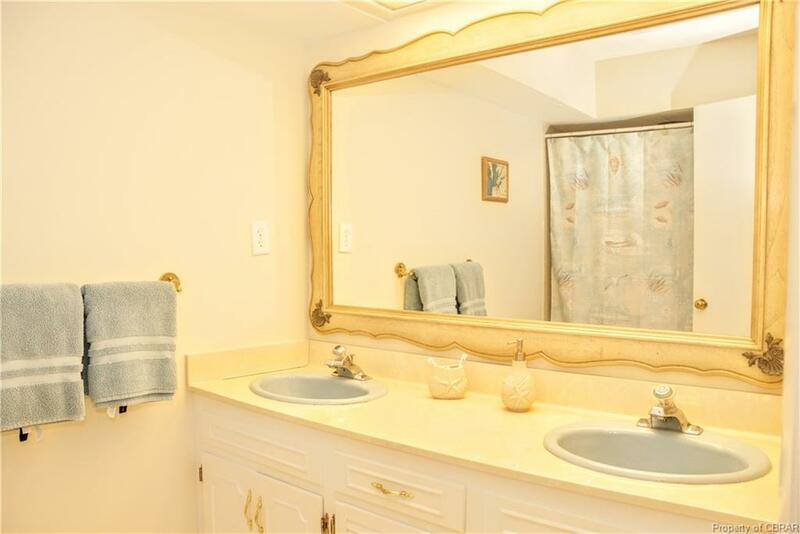 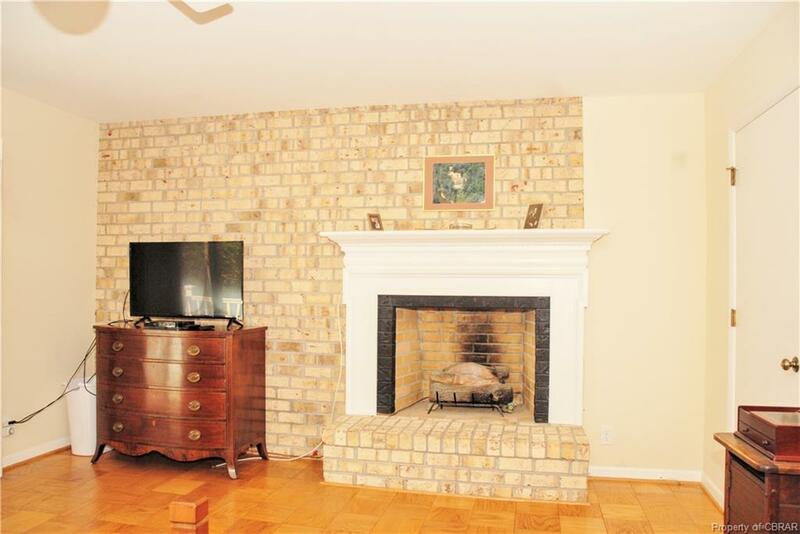 The master suite features a handsome brick fireplace and large bath. 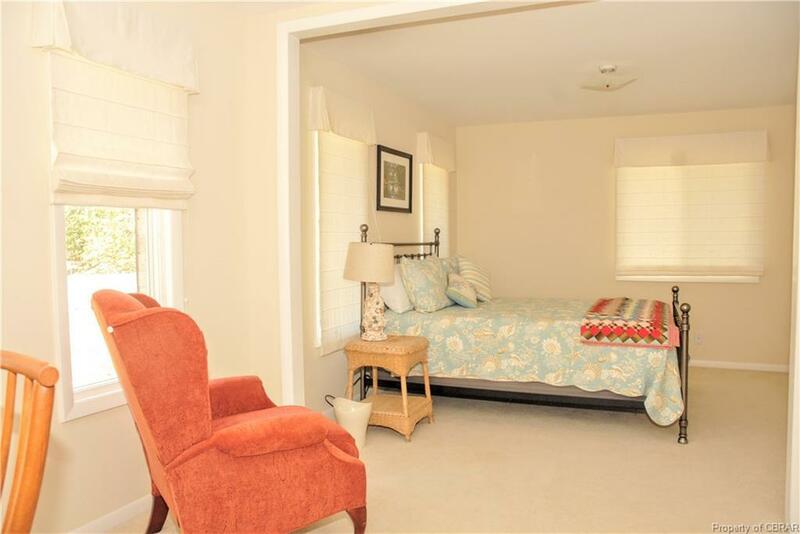 The guest suite includes a private sitting room. 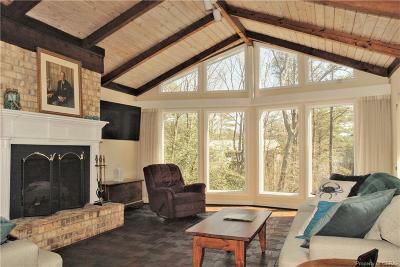 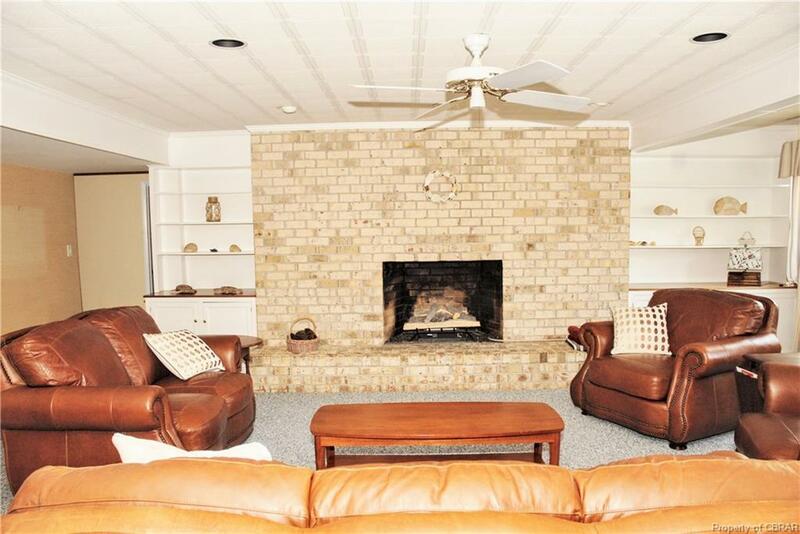 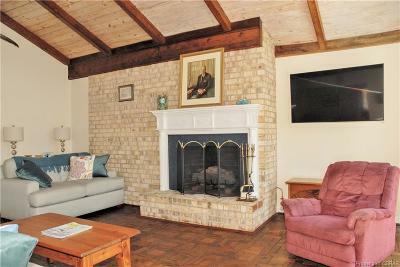 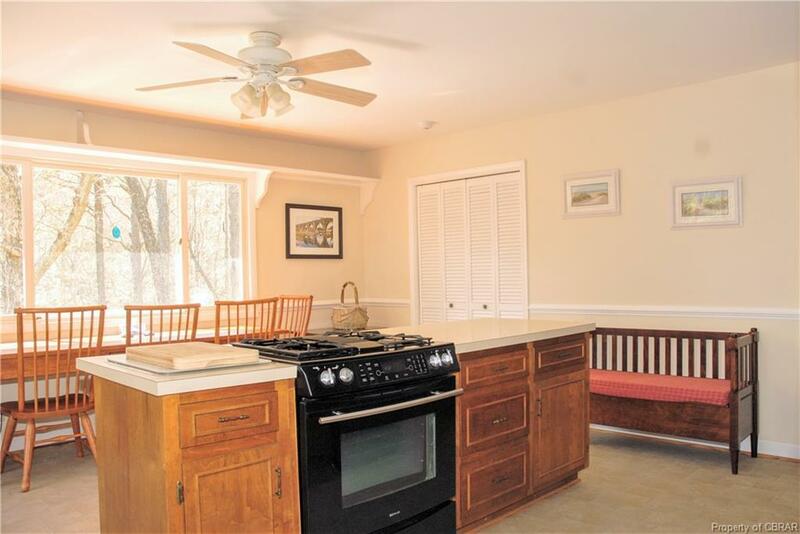 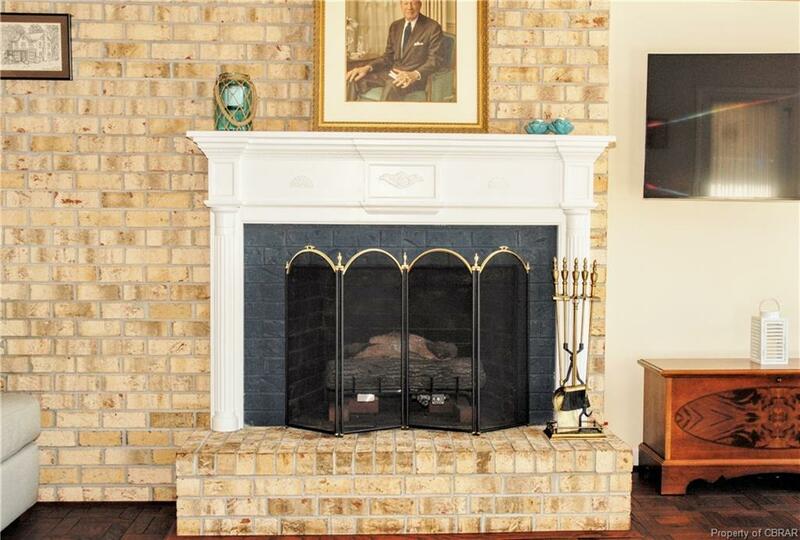 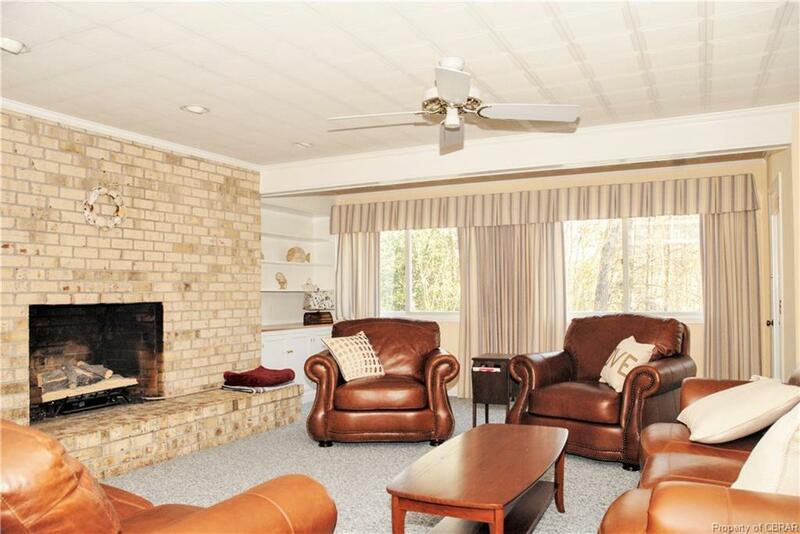 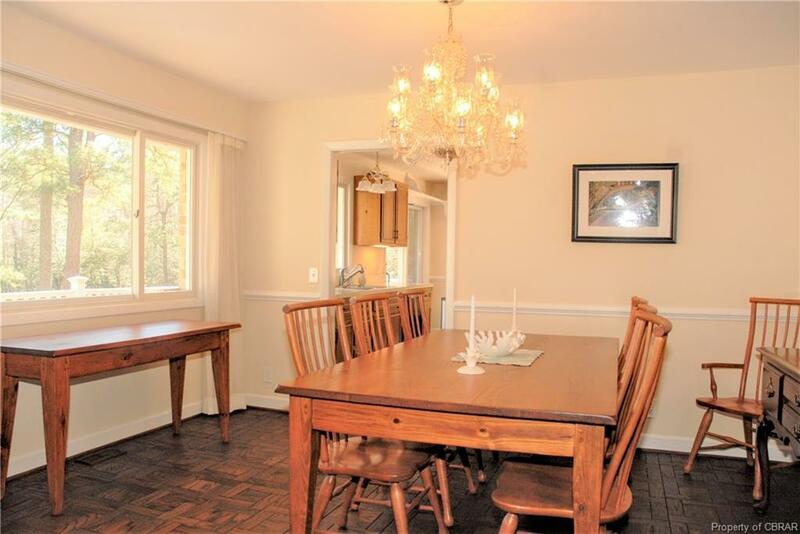 The lower floor living room boasts water views & brick fireplace. 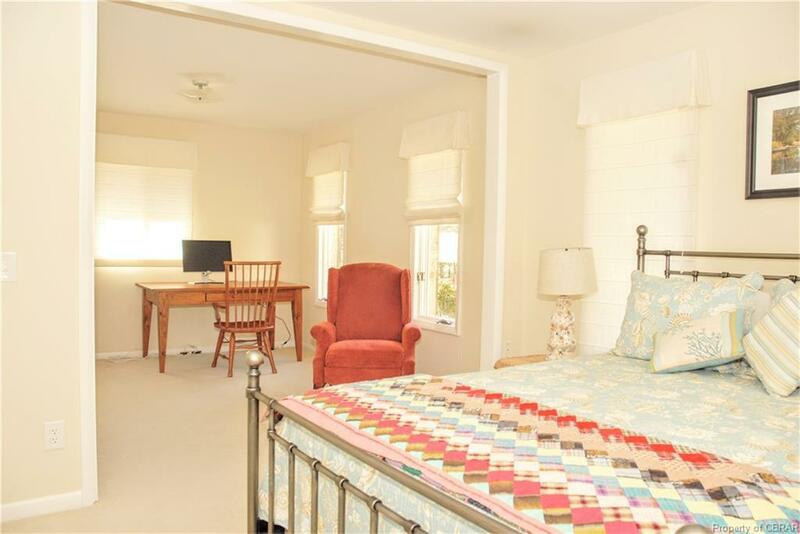 There are 2 guest rooms and bath. 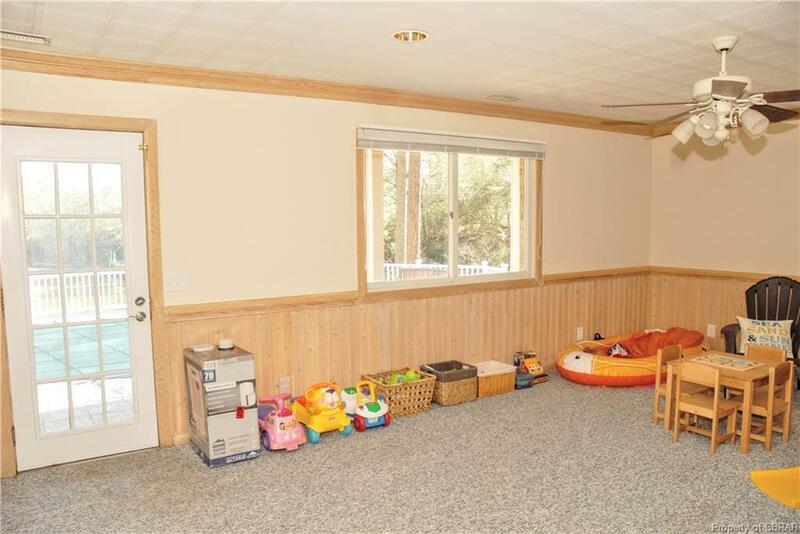 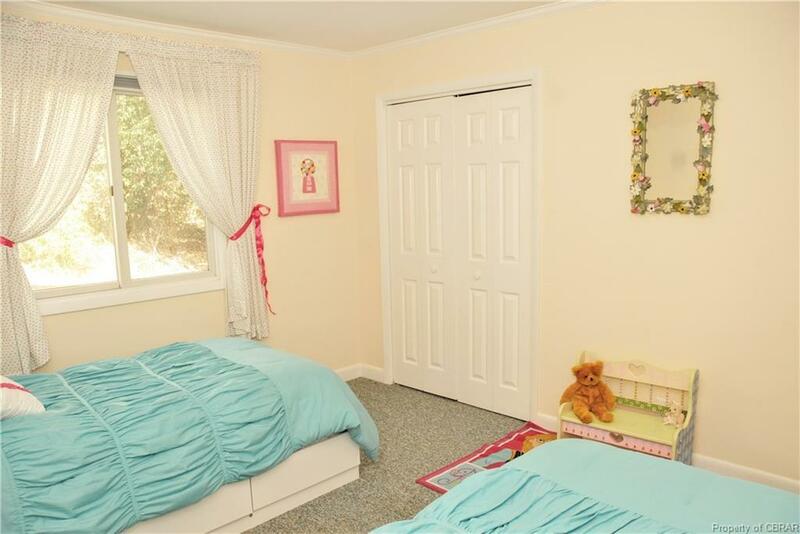 A large bonus room is used as a playroom. 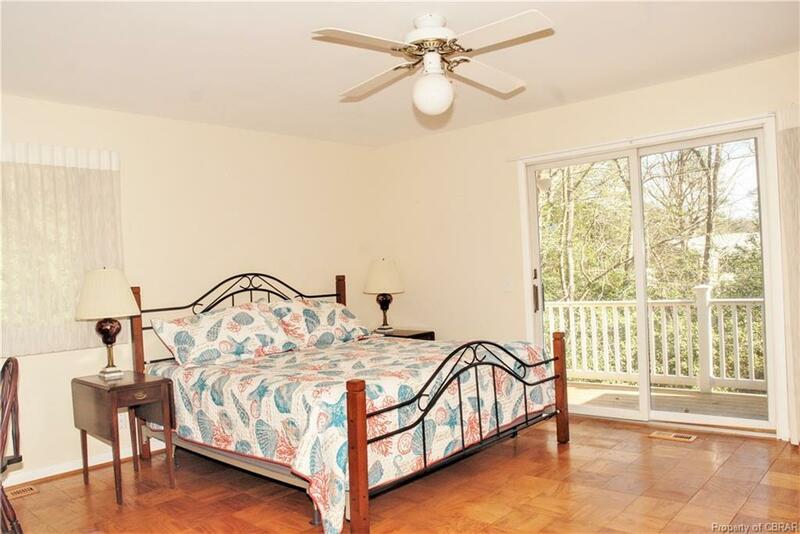 These rooms open to a riverside porch and a generous terrace with riverside pool. 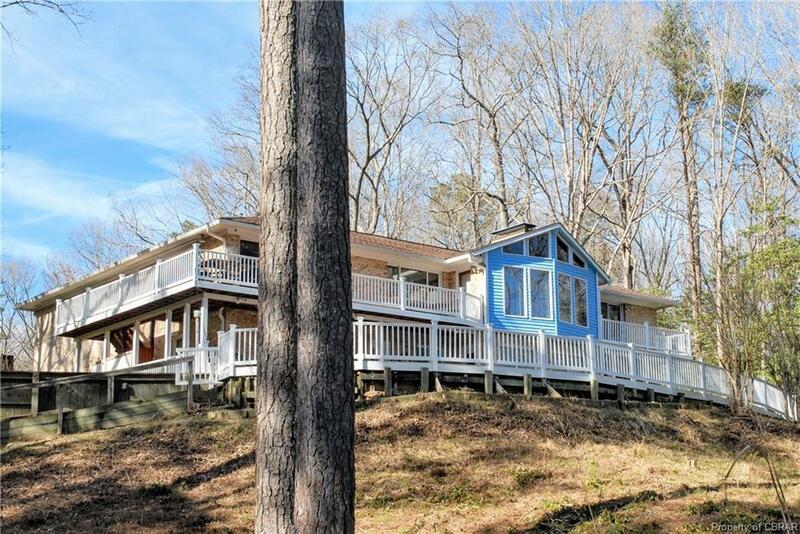 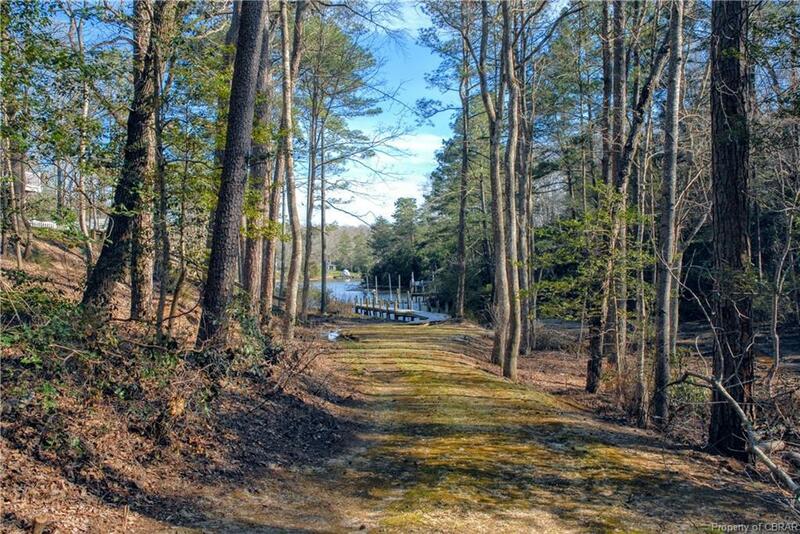 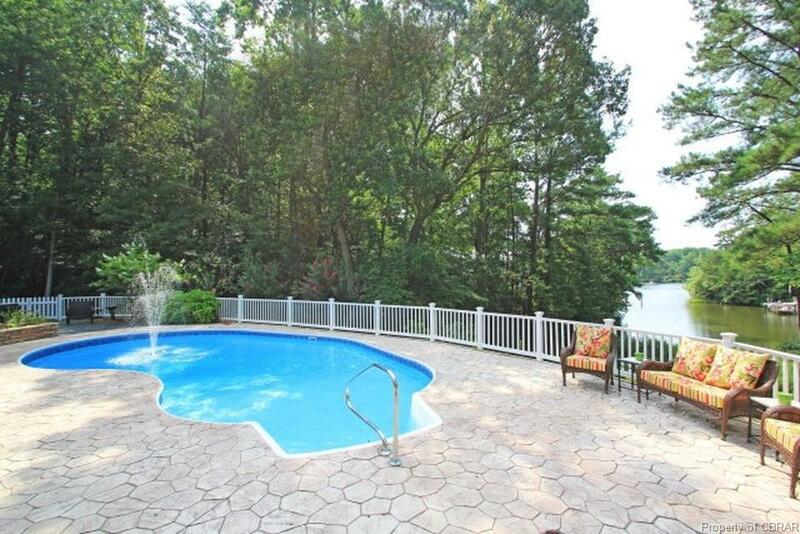 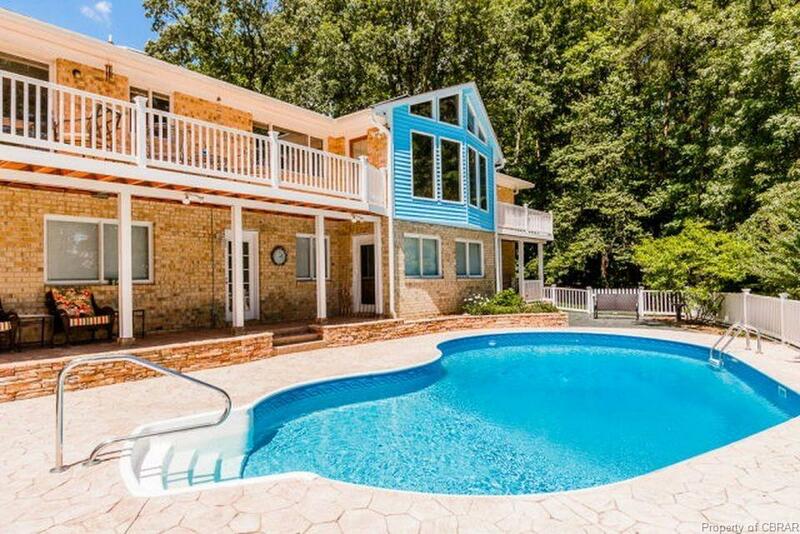 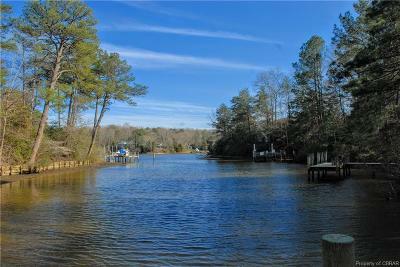 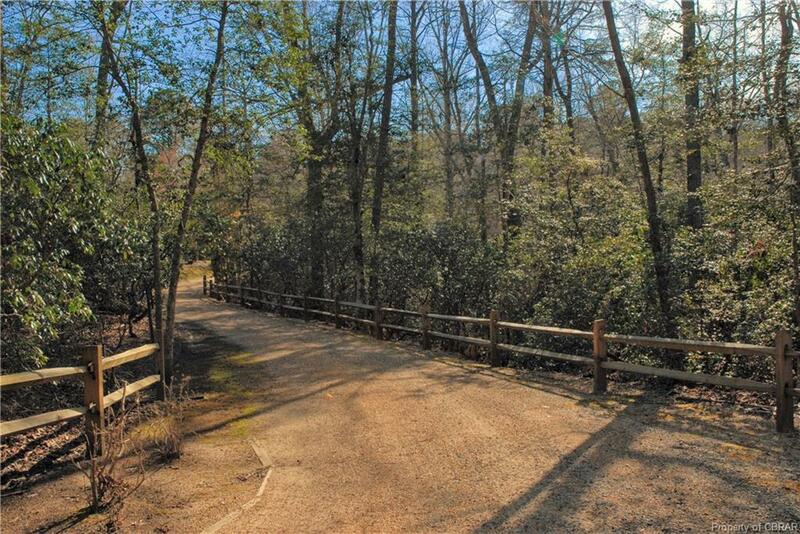 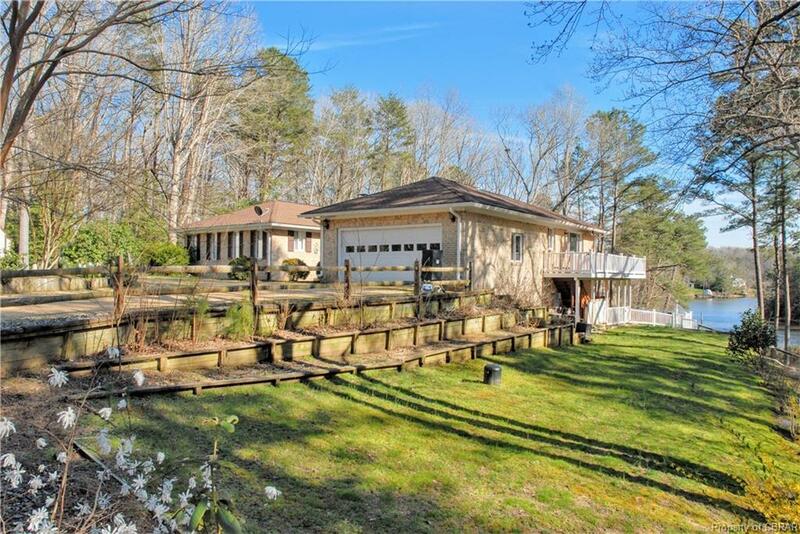 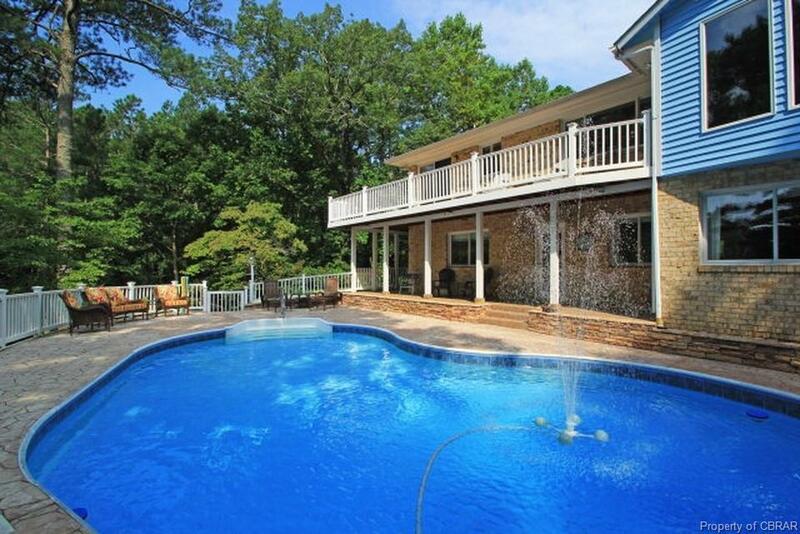 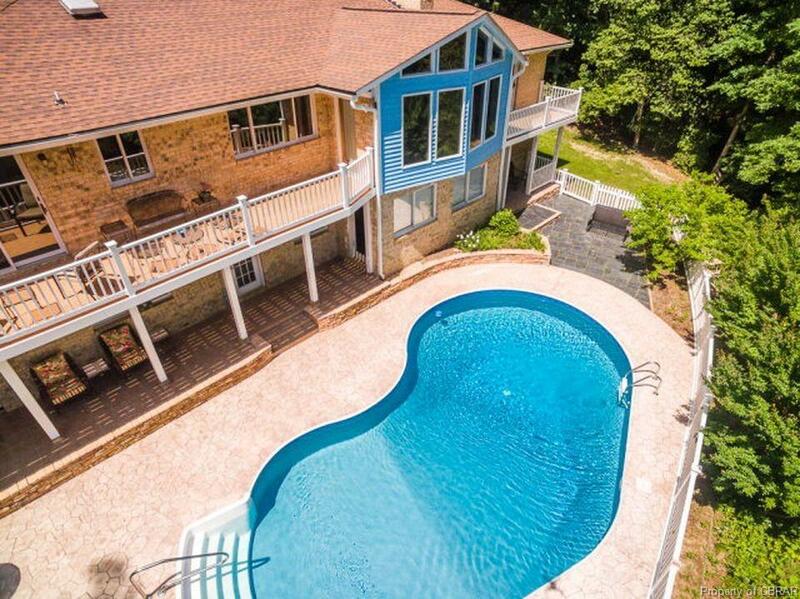 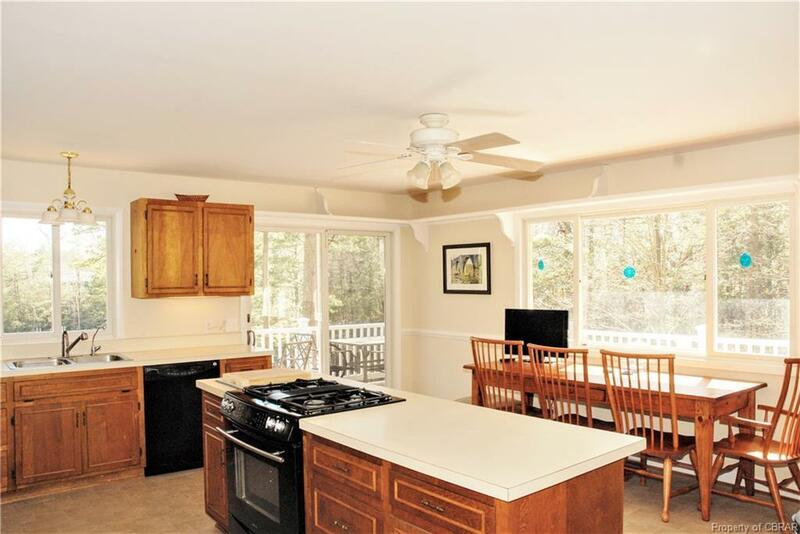 Near all local amenities, this home is appealing as a coastal retreat or fulltime waterfront lifestyle. Directions: From Kilmarnock, Take Route 3 West, Left On Devil's Bottom Rd, Left On Laurel Point Dr, Left On Laurel Dr, Right On Stony Point To End.